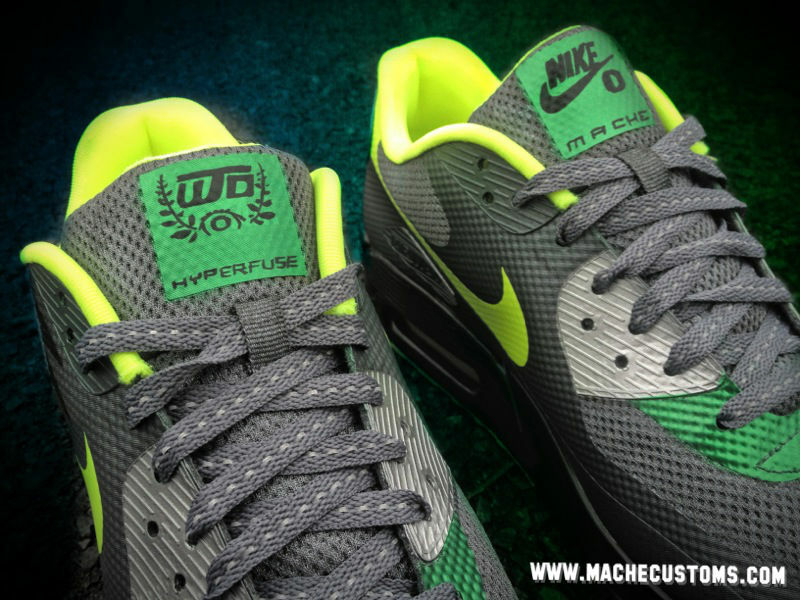 Following an exciting week of Oregon sneaker reveals, customizer Mache gives us a look at his latest Duck-themed project. 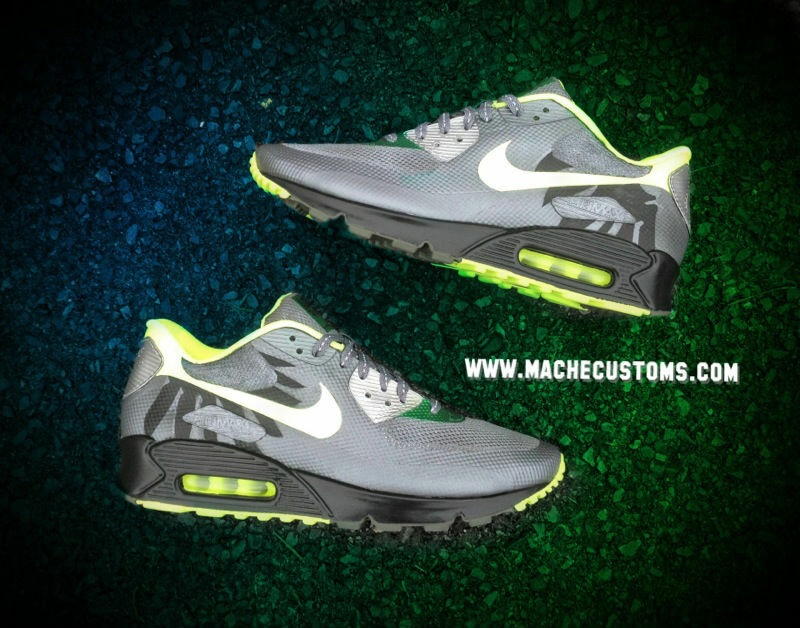 Mache chose the Air Max 90 Hyperfuse due to its existing carbon fiber look and covered majority of the shoe in gunmetal. 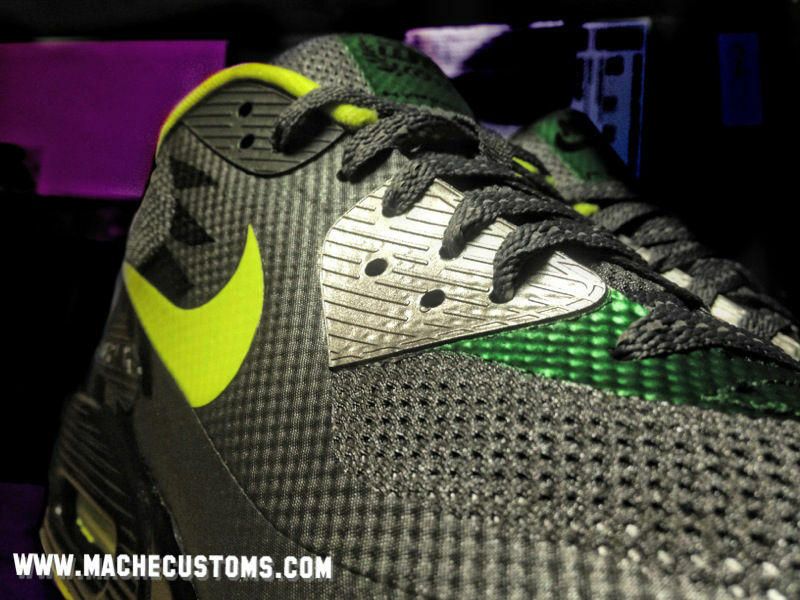 Front lace and heel tabs have been chromed out and liquid green accents were added to the sides. Duck wings appear on the side panels and the school's "Win the Day" rally cry can be found on the tag. 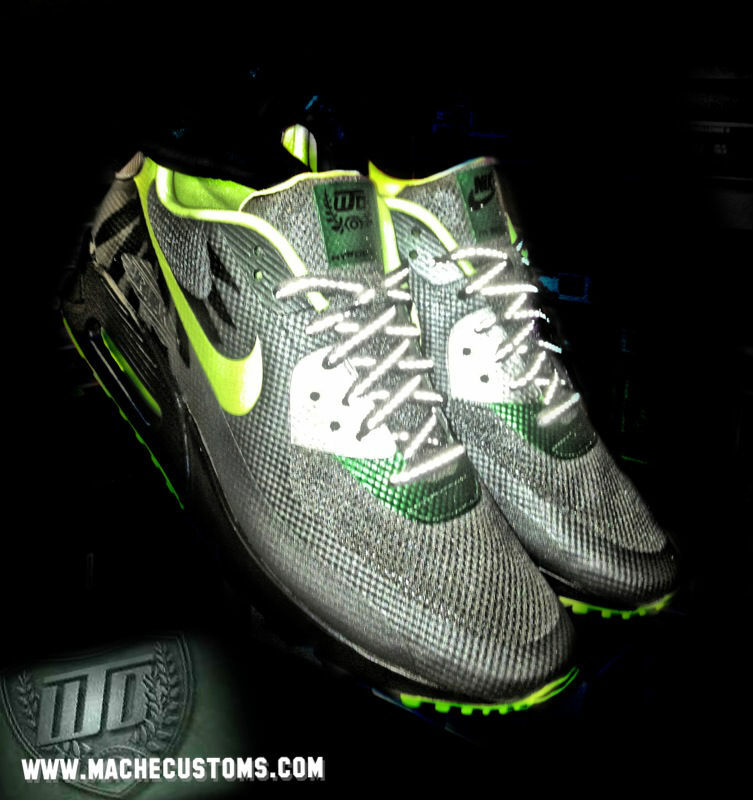 These "Ducks" 90s were a private order, so Mache has no plans of recreating them. 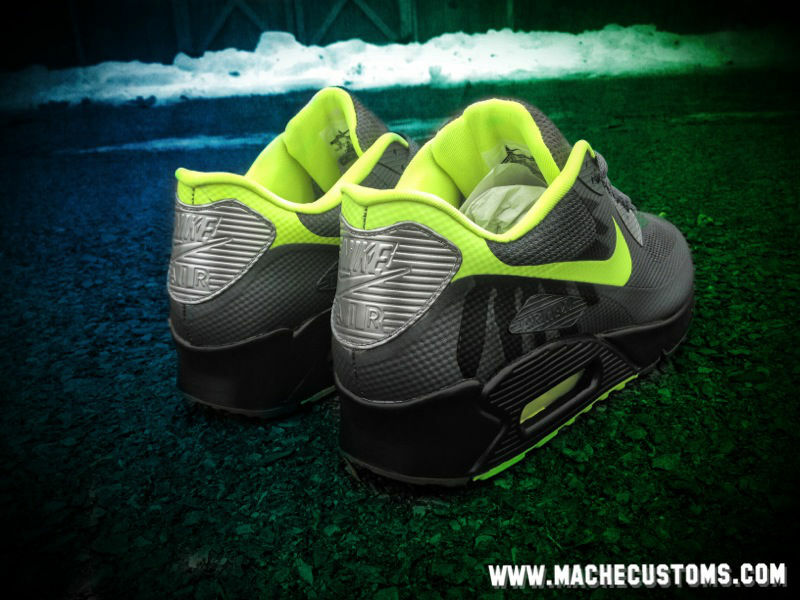 However, you can keep up with his latest projects at machecustoms.com and @MACHE275 on Twitter and Instagram.